Color Wars are group games that add up for points! At the beginning of the week, all kids and Kaleiders will be assigned a color that will be their team for the entirety of the conference. This is a fun way to get the Novas and Yokos involved in helping the Womples and Ways, and letting the Womples and Ways participate in activities with the Yokos and Novas. Each game, first place receives 4 points, second place received 3 points, third place receives 2 points, and fourth place receives 1 point. (The only exception to this is the photo scavenger hunt. 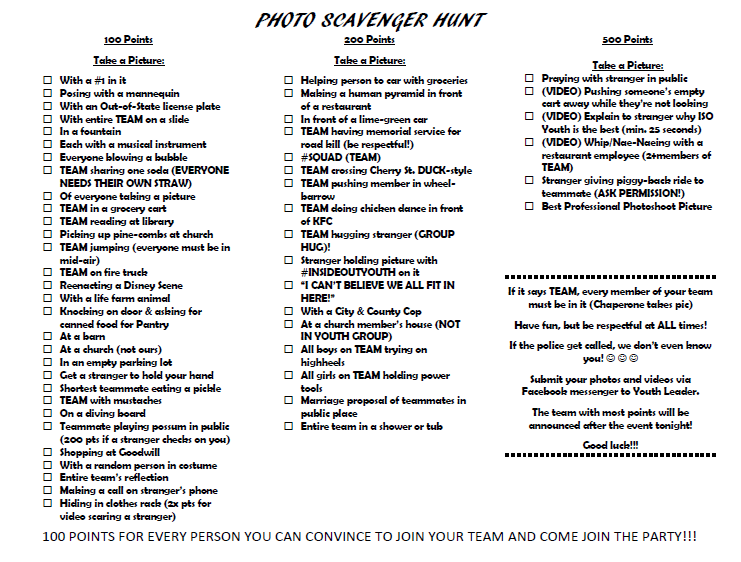 The points awarded for this are at the bottom of the sheet that your conference coordinator will give you.) At the end of each game, points are awarded and kept track of throughout the whole week.